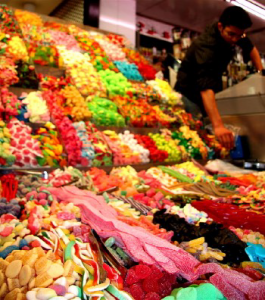 Economy Candy Store | Custom & Private New York Tours, Inc. Established in 1937 and operated by 2nd & 3rd generation family members this is the place for the candy of days gone by; the paper strips with the color peel off dots, Black Jack, Beeman’s and Clove chewing gum. Do you remember Choward’s Scented Gum. They’ve got naughty bottles of pills; silly tin cans for collecting your loose change and more candy and varieties that you never knew existed. Not just for kids. Sweet! Take a step back in time to New York City’s sweetest visit, 1986 Topps baseball cards are $1 per pack!